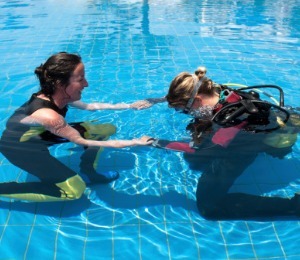 You could not find a better vacation destination than Aruba to train for a variety of Scuba Certifications. This tranquil resort paradise rests just eighteen miles off the shores of Venezuela in the south western Caribbean Sea. The air and water temperatures remain warm throughout the year; Aruba sits only twelve degrees north of the Equator. The leeward side of the island is protected from the stronger winds and rough seas of the Caribbean. The island's proximity to the mainland helps to protect is from storms out of the west. 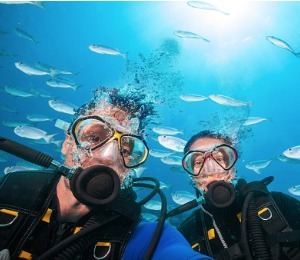 As a result, the numerous popular dive sites are generally calm with excellent visibility. You'll witness an amazing diversity of coral growth and active marine life as well as some massive wrecks. 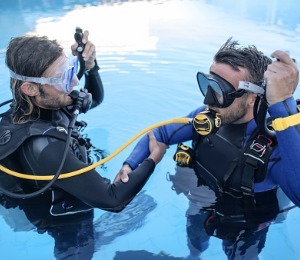 Whether you are new to diving and would like to begin Open Water Certification, seeking to finish your certification with an Open Water Referral, or would like to expand your diving knowledge by taking an Advanced or Specialty Certification Course, our devoted PADI-accredited instructors will provide you with thorough instruction and top-of-the-line scuba equipment. 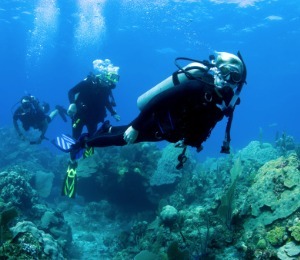 With the numerous wrecks close to the island, Aruba is an excellent place to achieve your Wreck Diving Certification.